A photograph showing sailors on the USS New Orleans. 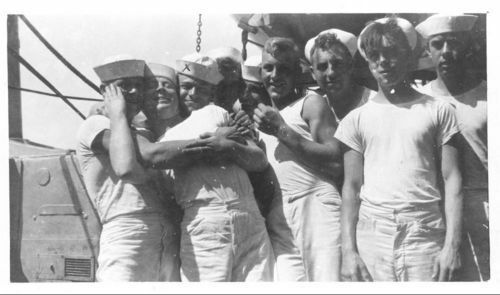 The sailor third from left is Paul B. Brunner, from Colony, Kansas. The USS New Orleans was a PG-34 protected cruiser that was commissioned in 1898, decommissioned in 1922, and served during both the Spanish-American War and World War I.